As we all know that Reliance Jio entered telecom market with their freebies offers giving nightmares to rival telecom companies, as now their freebies coming to an end they come up with new plans to retain their costumers base, which skyrocketed to 100 Million in 170 days. On Tuesday they made an announcement with new Jio Prime subscription plan for One Year. 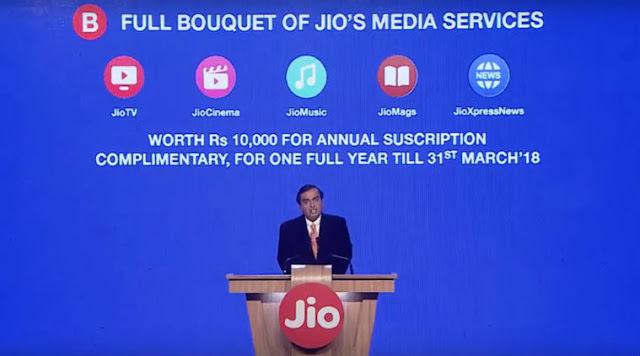 No Extension of Free offer on Jio after March 31! Jio Prime subscription plan that extends the unlimited data (1GB daily FUP limit) provided by Reliance Jio in Earlier offer (Happy New Year Offer) by another year. 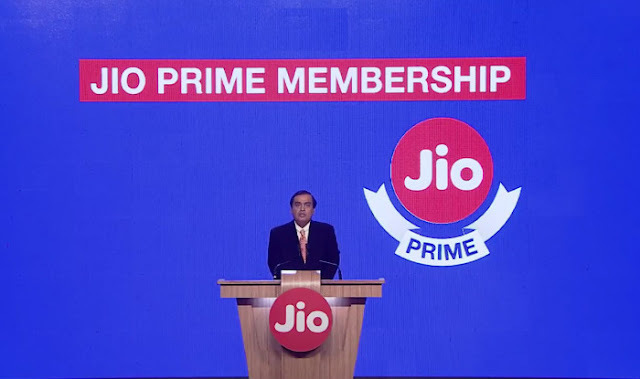 The Prime subscription will be open from 1 March, Jio Prime only for existing customer and who may join the Jio network before March 31, 2017. Prime subscription plan priced at 99 Rupees per year by Reliance Jio, the subscription can be done through using the MyJio app, Jio website or at any Reliance Digital Retail store. Unlimited benefits during the free offer period for the last six months will be available for another 12 months until 31 March 2018 at an introductory price of Rs303 per month. If costumer’s fail to sign up for Prime subscription in the given time, they get ported to a Jio postpaid or prepaid plan as per their wish. After March 31, 2017, JIO Free offer will End. 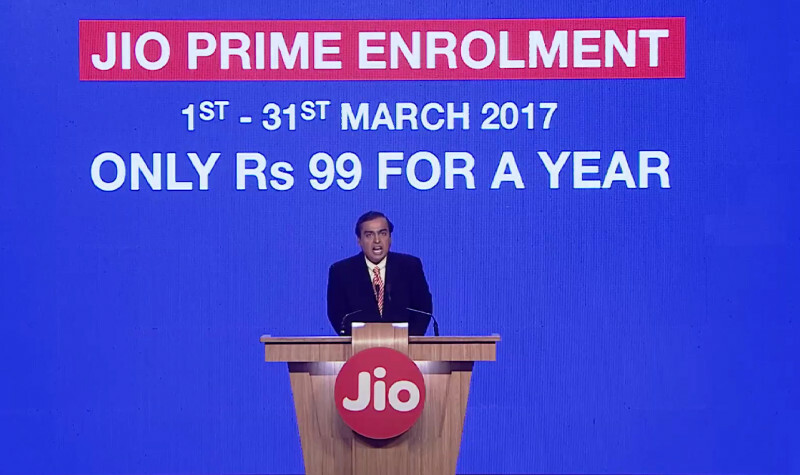 After March 31 you need Pay 99 Rs to Join JIO Prime (For continuing the Happy new Year offer) This offer is only for existing JIO users. 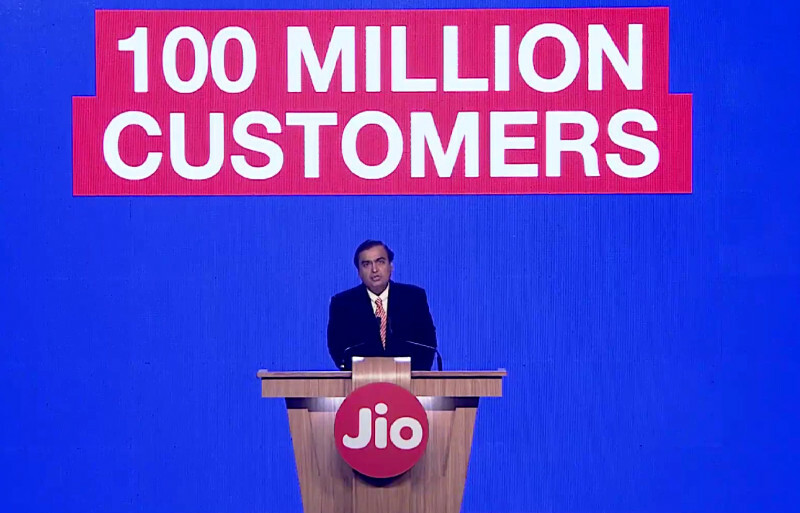 Don’t Panic, and You Can Join the JIO Network Before March 31, 2017. 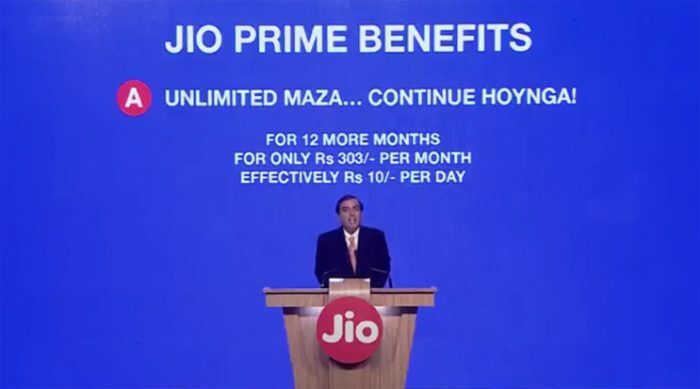 1 – What is JIO Prime? It’s a Speical package for existing JIO Customers to continue the free JIO services (Free data, calls, and SMS). 2 – How to Join and How Much cost for Prime Membership? Cost 99rs per year for membership you Join through JIO APP/JIO website or Activate it from your nearest Reliance Digital store. Yes. If you activate the JIO Prime, you will able to continue the Happy New year offer Up to March 31, 2018. 4 – Any Extra Charges? This Offer is Only Applicable for Existing JIO Customers who Joins the Network before March 31, 2017. Frankly Speaking, Whatever happened with Reliance GSM back in 2004-05, the same is happening with Jio! Impressive offers pulled in a lot of customers, then they couldn’t manage their networks and then lost their customers to Airtel and Indicom! Jio won’t disappoint India and Indian People! #jioDigitalLife! Let’s wait and watch!